On arrival at Port Blair Airport, our representative will welcome you and take you to your pre-booked hotel for check-in. Relax till afternoon. Post lunch, proceed to Carbyns Cove Beach and Cellular Jail Show. Later return to your hotel. Overnight stay at the hotel in Port Blair. Savor a scrumptious breakfast and head to North Bay to explore coral reefs, exotic varieties of beautiful ornamental fish and other marine life. The place is also a snorkeler’s delight as this beautiful beach with crystal clear water creates a magnificent spectacle. Don’t forget to bring your lunch pack, drinking water & changing dresses. Next on your itinerary is a visit to Ross Island, the former residential and administrative island of the British during their rule of South East Asia. The place is also known as the 'Paris of the East'. After breakfast embark on "City Tour" of Port Blair and visit its prominent attractions that include Marina Park, Joggers Park, Chatham Saw Mill (one of the oldest & largest in Asia), Forest Museum, Mini Zoo (for rare species of Birds and animals). The place also holds several things for museum hoppers as they can visit the Anthropological Museum, Naval Marine Museum and Fisheries Museum. 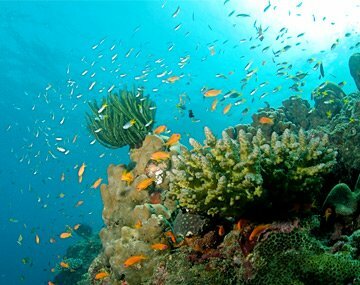 Your Port Blair tour package also includes a visit to the Andaman Water Sports Complex. After lunch, visit Chidiya Tapu Beach for sunset point. Return to your hotel for overnight stay. After breakfast relax in your hotel room. Check-out from the hotel and transfer to airport (as per your flight schedule) to board a flight to an onward destination. Spectacular coastline, lush green landscape, remote location and gut testing adventure options; Andaman with its captivating tourism appeal leaves travelers spellbound. Travelers from India and abroad keeps flocking to this offshore territory of India that ensures some moments of leisure in a tranquil secluded setting. Opportunity to laze around on the beaches, memorable encounters with history and wildlife and great food inspire many to book Andaman holiday packages where nature seems to have preened itself up to bestow travelers with some of the most memorable experiences. Fired by a passion to create beautiful memories for our clients, we at BookOtrip offer irresistible travel packages for Andaman. With several years of experience in facilitating travelers with their visit to Andaman we have got a great understanding of attractions, activities and services available at this island and plan your travel accordingly to make your sojourn memorable. We nurture great relations with hotels, resorts and activity provider and leverage them to your advantage. Our Andaman tour package has been planned in a way where vacationers need nothing to do except relax and enjoy. Any additional charges arising due to natural calamities, political disturbances, VIP movement etc. Mentioned Package valid till Sep 30, 2018. Rates are per person on double / twin sharing based on mentioned hotels. In case of any Hotel unavailability, alternate option will be provided. The things we did in the Port Blair trip was awesome. i just loved the trip. thanks BookOtrip !! !